The pteranodon is one of the largest flying reptiles. Fossil records show that it has a short tail, long legs, and a massive head. Its wingspan measured anywhere around 9 to 20 feet wide. 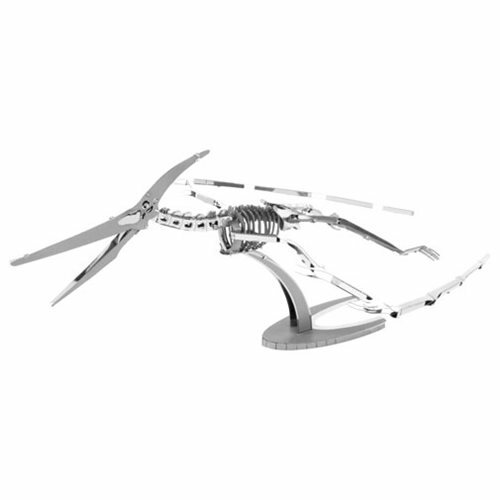 Assemble your own pteranodon with the Pteranodon Skeleton Metal Earth Model Kit! Use the easy-to-follow instructions included with the sheets to pop out the pieces, bend the tabs, and connect them at the attachment points! Ages 14 and up.